The Back and Forth quilt block belongs to the nine patch category, but it is an "uneven" nine patch block since the three rows of three patches each, are not all the same size. 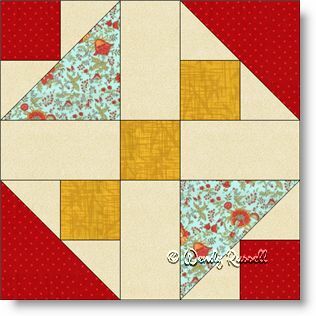 This quilt block is an easy block to build your skill set. These two quilts shown, each use four of the blocks, rotating each of those four blocks by 90 degrees, and then setting these larger blocks, side by side. If you look closely, you will notice that one of the quilts also uses sashing to separate the blocks. Also changing up the border fabric selection can make quite a difference.